My good friend, Lauren, contacted me last year to talk about coaching. I thought she was asking for recommendations but she actually wanted me to coach her. At first, I was just flattered. I was blushing all over the place like a middle school girl. But when I got down to it, I was pretty nervous. I wanted to do things the right way and deliver on my end of the bargain. 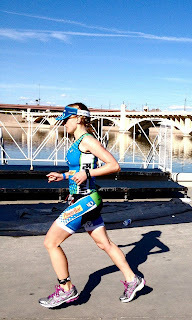 She was targeting Ironman Arizona and I felt I could set her up for a good race. 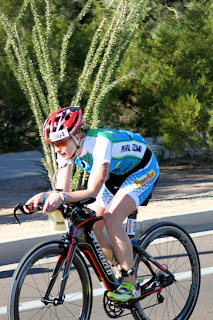 I am not quite sure I would be a good coach for certain things, but I was confident that I understood at least how to get properly fit for Ironman and also felt I could explain race execution which was learned from both nailing it and botching it on my own. I also know Lauren really well. This was pretty important as I had a good understanding of her strengths and weaknesses. Sounded like a good situation so I was all in... but still nervous. The first thing we did was set up some goals. We then spoke about race scheduling, how to approach training, what has worked for her in the past, and what we wanted to focus on. We set about ticking things over in training. I was throwing the kitchen sink at her in terms of workload. The workouts were really tough, mind numbing in some cases, and pretty intense but she was nailing the program. Obviously we were cautious in the parts of the season where the worload was highest, when she got sick, and always kept a pulse on how she was responding to the training. She just kept it rolling, stayed injury free, consistent, and committed. It was really freaking impressive. I basically set up a program that I'm not sure I could have done myself and she nailed it to the T.
Race day came and I was super confident in her fitness and our prep for the race. We had gone over the race so many times it was ridiculous and I knew she was set up for a BIG PR, but it was down to execution. Ironman is such a crap shoot. So many things can go wrong in so many different areas. I had no idea what was going to happen. I posted up on my computer, locked in and focused for a long day staring at a screen. Game on! 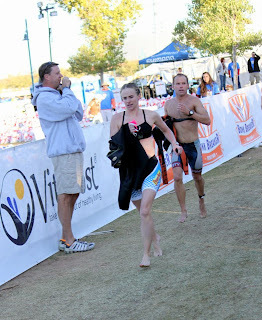 She set out and cruised the swim. She was a collegiate swimmer so I knew she was comfy when she came out in 1:00 flat. We had done enough swim training for that to be totally under control. Onto the bike. I was glued to my computer. The first few splits were so even on the bike, I couldn't believe it. The pace was again totally in control and I was starting to get really pumped. I knew she was on her game, conservative, and executing beautifully. Praying for no flats, I kept refreshing on my screen to see her splits stay dead even. Unreal. I kept calling Inch who was at the race and her boyfriend, Eric, to remind her to be patient and keep eating. She hit mile 100 and was still laughing and I knew things were on track. 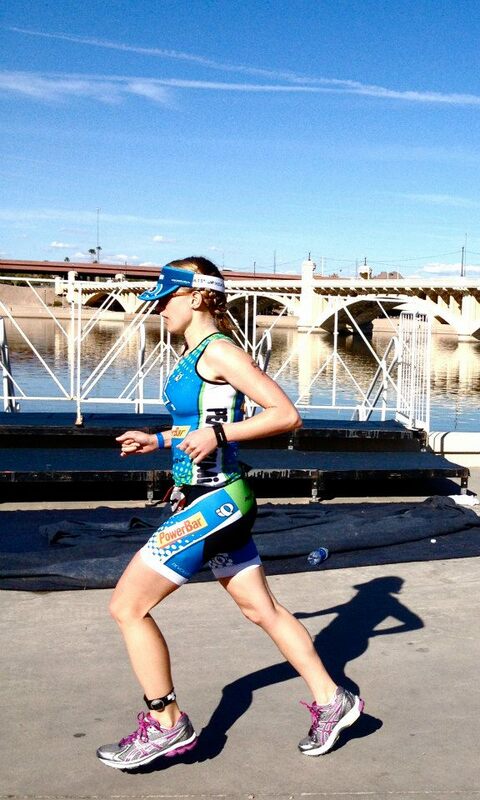 No flats and into T2. Onto the run, the first couple splits looked a bit quick. 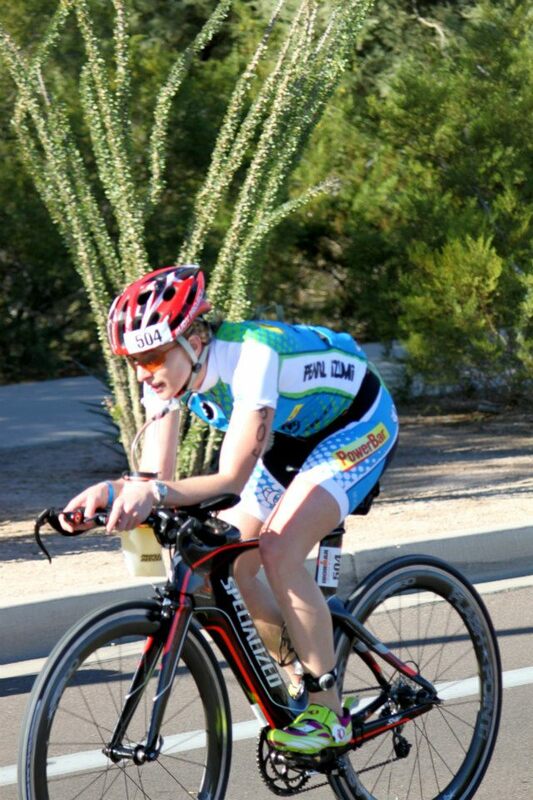 The standard 20-30 seconds per mile faster than you should be going because it's Ironman and you're finally fresh! It's freaking science bro. Everyone does it. After mile 3, she settled in. Around mile 10 things started trending in the wrong direction. She was fading. My stomach started flopping over on itself and I was biting my nails down to the stumps. She wasn't far off her pace but it wasn't looking good. I was on the phone again trying to get someone to tell her to get some coke down and she would come around. I hit the refresh button probably 400 times and finally her pace started to come right. Phew. Mile 20 and she was getting on track. The last 3 miles were faster than goal pace! I flipped out and was jumping around like a baby howler monkey. Incredible. She came in at 11:06 for a 2 hour PR! But more than the time, she executed to perfection. Wow. Who knew hitting the refresh button for 11 hours could be such a rush?